Firefighters from the Esperance, Central Bridge, and Delanson volunteer departments responded to a brush fire on Highway Route 20 between the Village of Esperance and the Hamlet of Sloansville on Sunday afternoon. The blaze, which fire crews contained, was sparked by nearby residents burning debris. 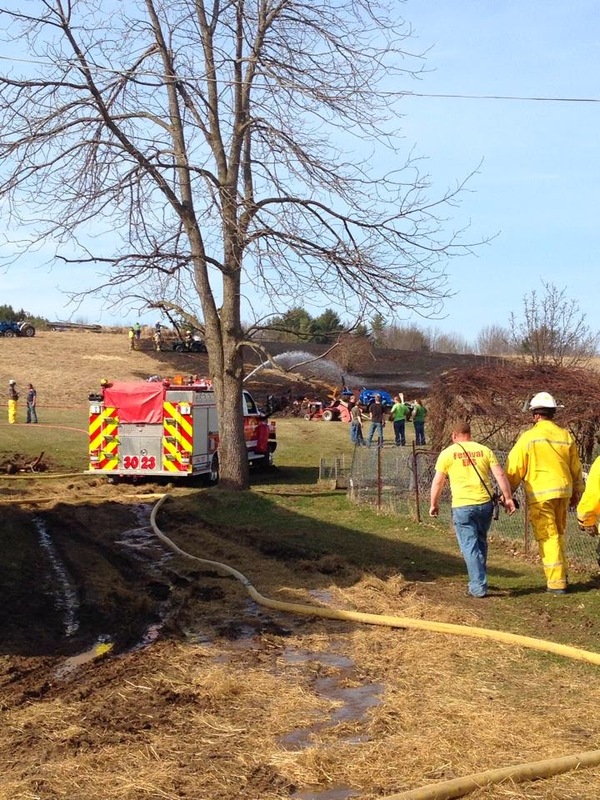 Schoharie County Fire Coordinator Matt Brisley told the Schoharie News afterwards that he wanted to remind local residents that burning brush and debris is, "prohibited in New York State from March 15 to May 15." Ground conditions are currently very dry with uncleared brush and leaves leftover from last fall offering ample opportunity for fires to spread, as such the New York State Department of Environmental Conservation has annually issued a "no burn law" since 2009 to prevent such blazes from occurring.